Hello and welcome to our October Flickr parade! 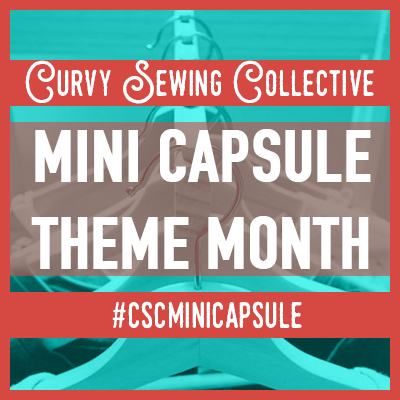 It’s always inspiring to see the pattern interpretations and differing styles from the lovely ladies of our CSC community! 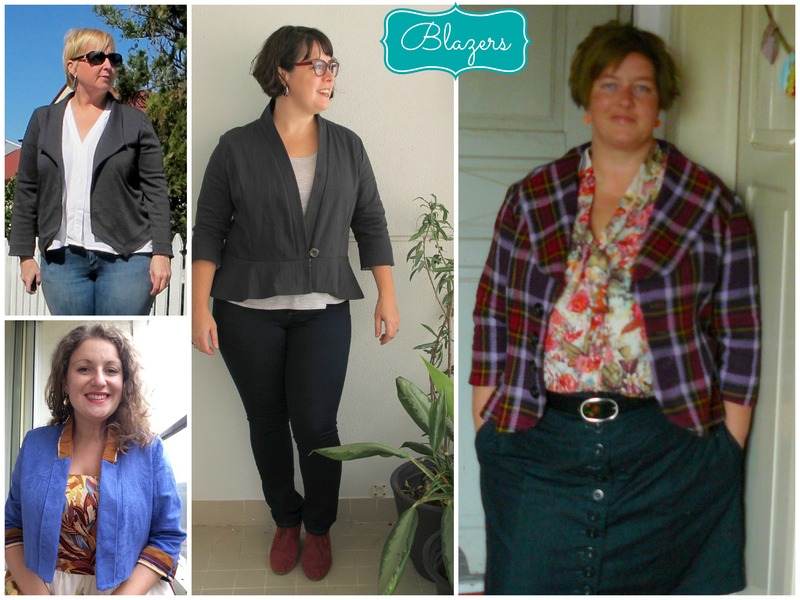 Clockwise from top left: Grainline Morris blazer by Busy Lizzie; Snapdragon Studios Cidehouse jacket by Cookin’ and Craftin’; Gertie’s New Book for Better Sewing blazer, McCall’s 6649 blouse and altered Colette Beignet skirt by Das Kleine Haus; By Hand London Victoria blazer by Harmony Through Imperfection. 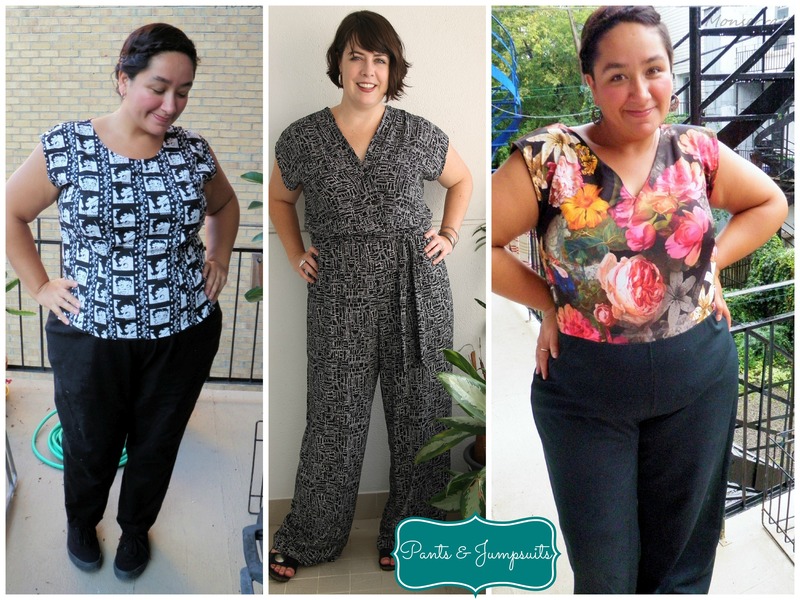 From left: Seamwork Moji pants by Monseratt; McCall’s 6083 jumpsuit by Cookin’ and Craftin’; Closet Case Files Sallie jumpsuit by Monseratt. Clockwise from top left: Jennifer Lauren Bronte top by Harmony through Imperfection; Winter Wear Designs Hepburn Henley tee by Abby Dabbles; Deer and Doe Plantain by Show and Tell Meg; Straight Stitch Designs Greenwood tank, Mouse House Creations Julia cardigan and Sew Liberated skinny jeans by chrichrimano; Seamster Sorrel by Show and Tell Meg. 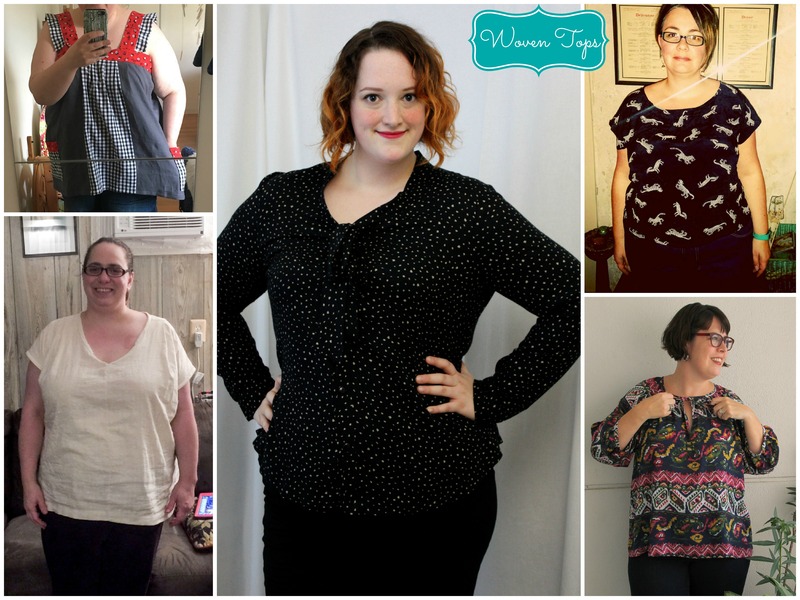 Clockwise from left: Deer and Doe Plantain by Harmony through Imperfection; tank top by chrichrimano; Love Notions Sloane sweater by SewsNBows; Vogue 8831 by Tuch und Faden. 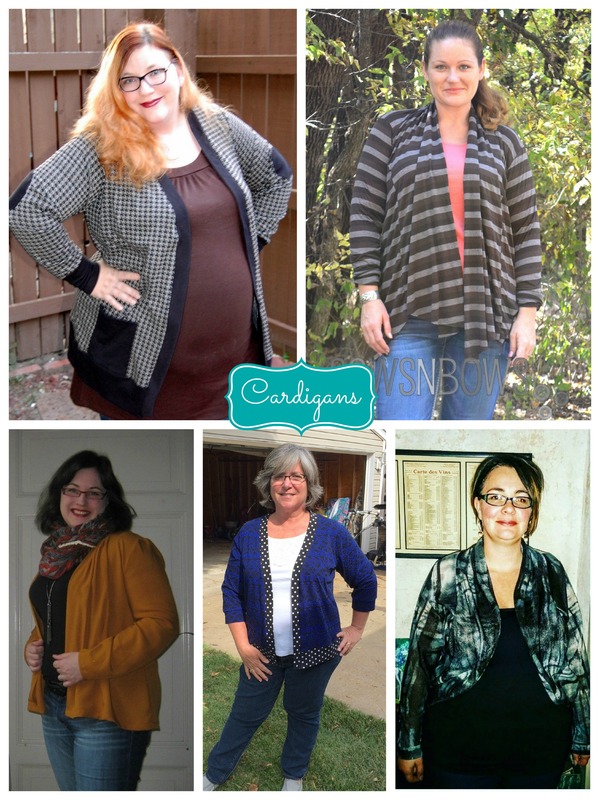 Top row: Patterns for Pirates Grandpa cardi by Wining Wife; Swoon Scarf Neck cardigan by Sews N Bows. Bottom row: Style Arc Suzie’s Sister top made into a cardigan by Tuch und Faden; Patterns for Pirates Grandpa cardi by phalaney; Mouse House Creations Julia cardigan by chrichrimano. 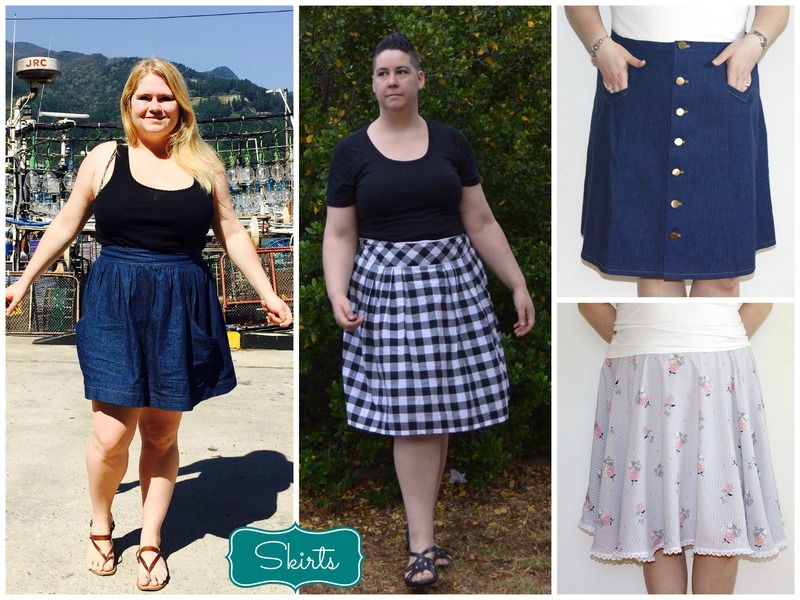 Clockwise from left: Megan Nielsen Brumby skirt by Stitchy Squirrel; Ottobre skirt by Craftastrophies; Muse Melissa by Show and Tell Meg; self-drafted circle skirt by Show and Tell Meg. 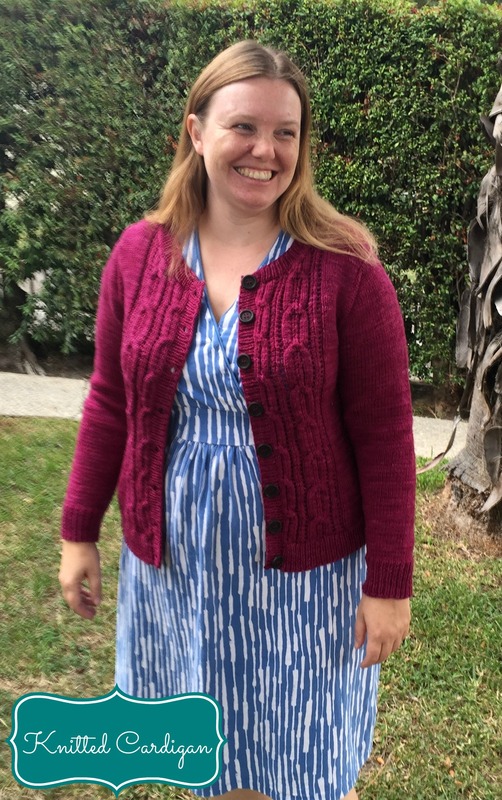 Olga Buraya-Kefelian Effervescence cardigan by Always a Crafty Lady. 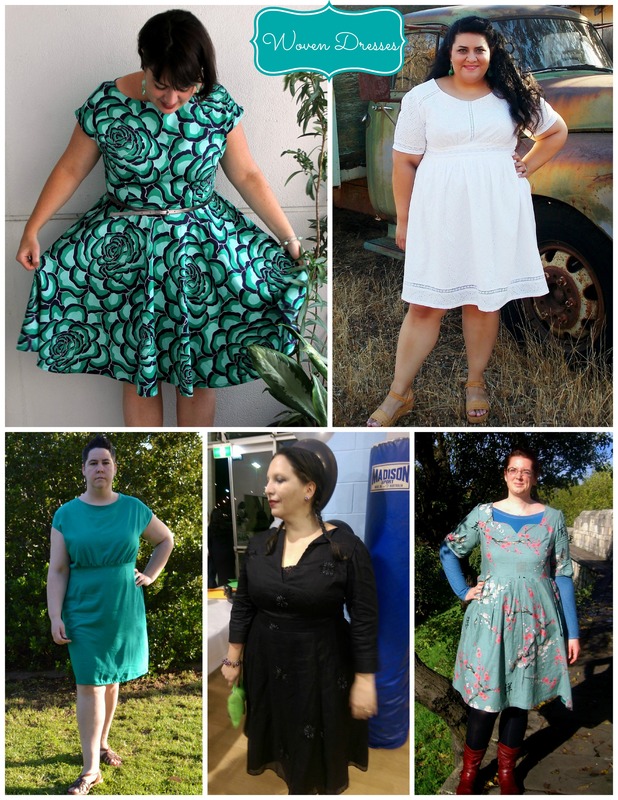 Clockwise from top left: Ottobre 2/2014 by Craftastrophies; Grainline Alder by Pudge and Nico; McCall’s 5982 by Kate; Knipmode 11/2015 dress 12 by Thread Paper Paint; In House Dress Pattern by from Rosape by Das Kleine Haus, The Sewing Rabbit Trapeze dress by Monseratt. Top row: By Hand London Anna bodice and Megan Nielsen Veronika skirt by Cookin’ and Craftin’; altered Vogue 8766 bodice with gathered skirt by Mrs. Hughes. 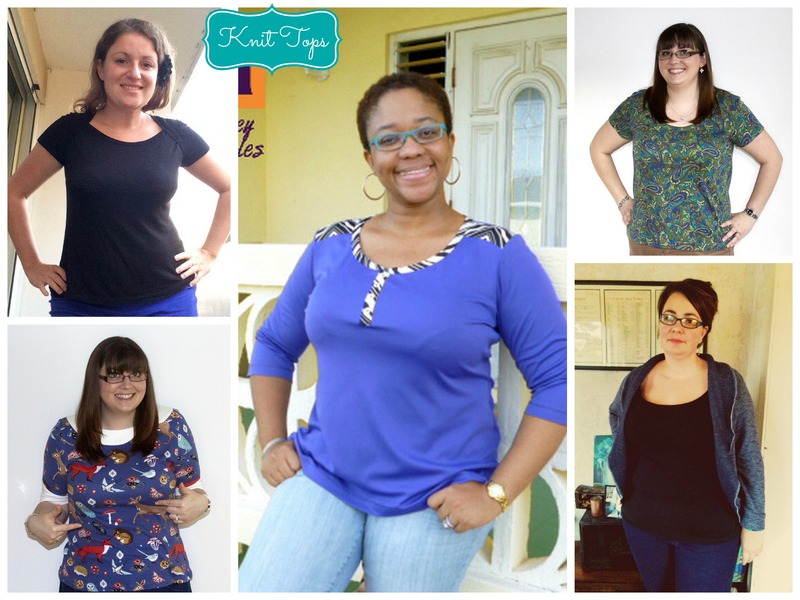 Bottom row: Ottobre 2/2014 by Craftastrophies; BlueGingerDoll Odette by Kate; Simplicity 1803 by Morven’s Handmades. 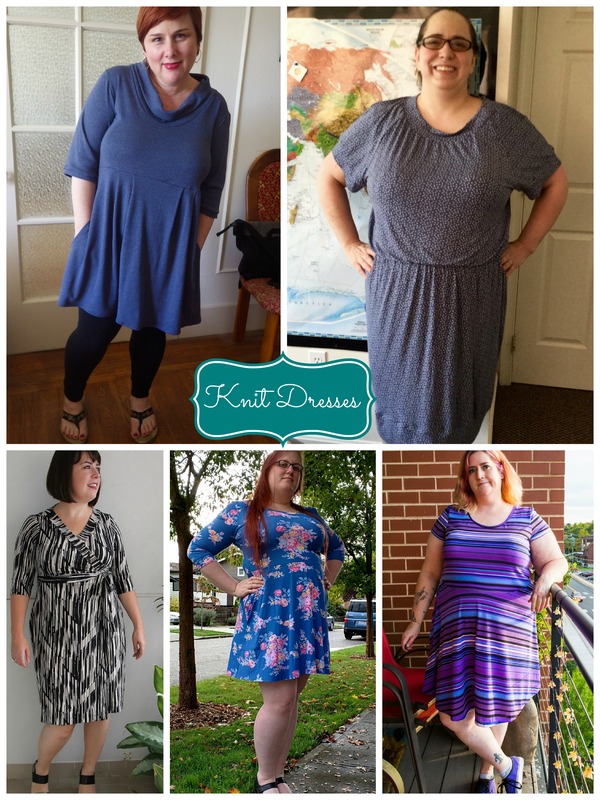 Clockwise from top left: By Hand London Kim dress by Harmony through Imperfection; BlueGingerDoll Odette with altered neckline byKate ; Butterick 5880 by Lisa; By Hand London Anna by Craftastrophies; The Sewing Rabbit Trapeze Dress by Monseratt; The Sewing Rabbit Trapeze dress by Monseratt. 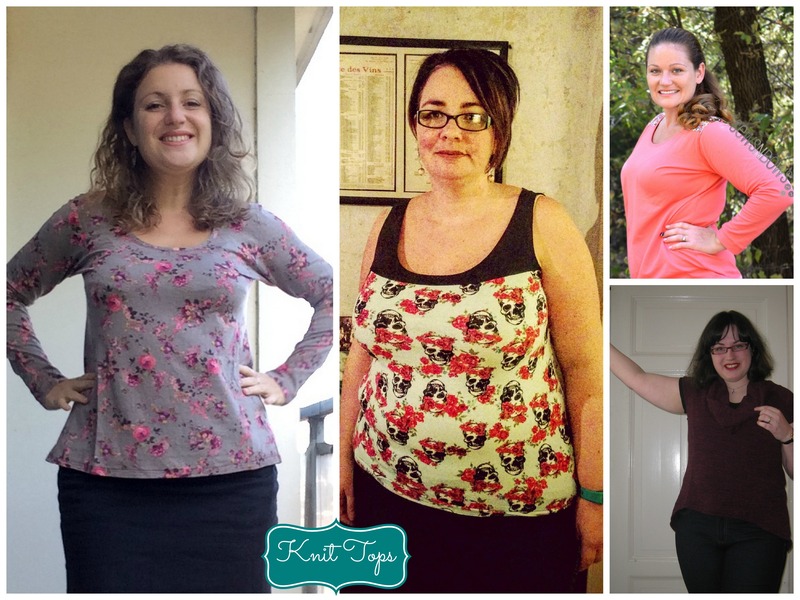 Clockwise from top left: Blueprints for Sewing Saltbox Top by Cookin’ and Craftin’; Vogue 8689 by duckndam; Blank Slate Marigold by happilycaffeinated; Bess top by Paisley. 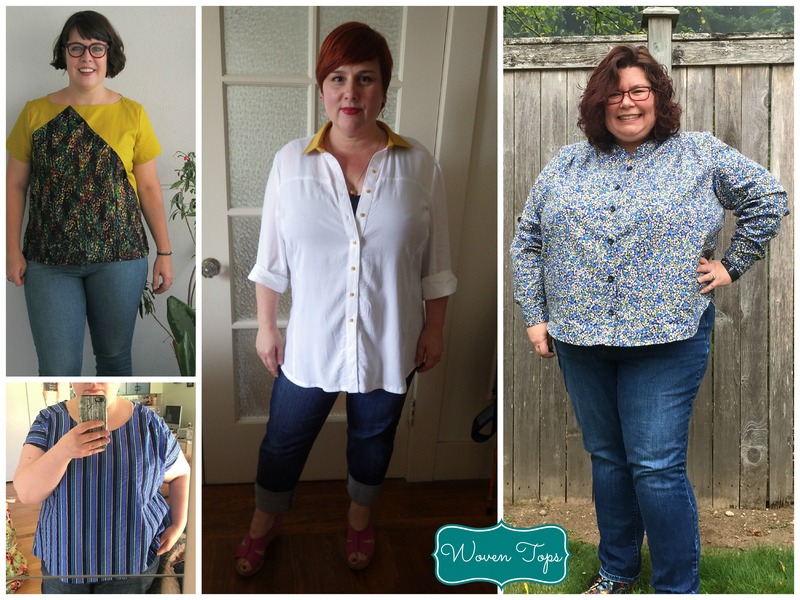 Clockwise from top left: Sew Mama Sew Spring Ruffle top by Paisley; Sewaholic Oakridge by Thread Paper Paint; Seamwork Akita by Chrichrimano; True Bias Roscoe blouse by Cookin’ and Craftin’; Hot Patterns 1191 Trilogy Top by Melanie. 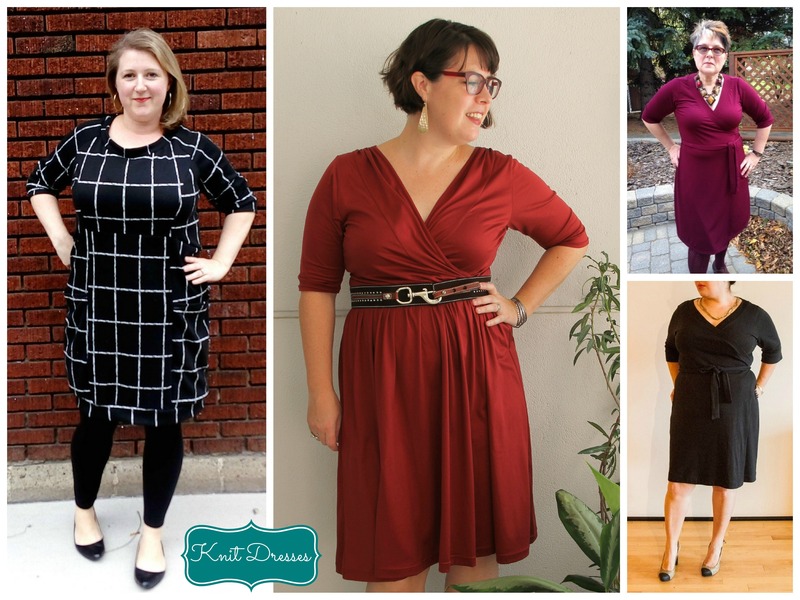 Top row: Greenstyle Laurel by duckndam; Hot Patterns 1060 Uptown/Downtown dress by Melanie. 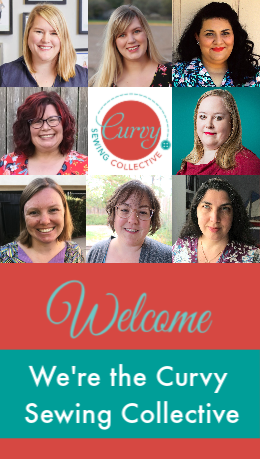 Bottom row: Cashmerette Appleton by Cookin’ and Craftin’; Kitschy Coo Lady Skater by Jennifer; Kitschy Coo Lady Skater by Sew All The Things. 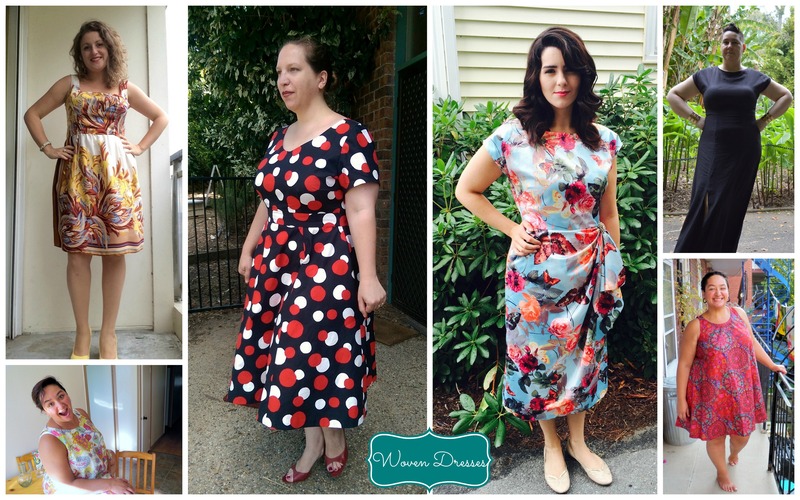 Clockwise from left: Victory Lola by Small Seams; Colette Wren by Cookin’ and Craftin’; Cashmerette Appleton by Elaine; Cashmerette Appleton by Gold Pom Sew. 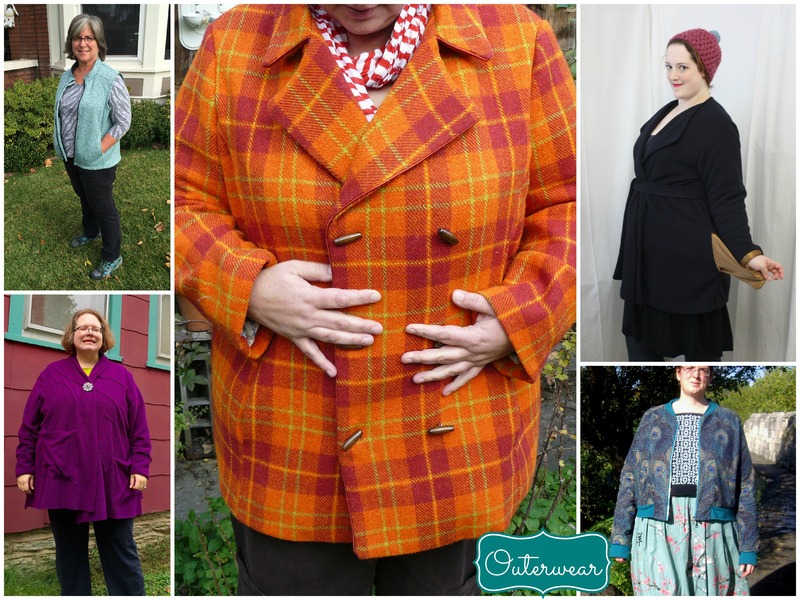 Clockwise from top left: Butterick 6081 vest by phalaney; Burda Plus 2008 Caban Jacket by Das Kleine Haus; La Maison Victoire 9/2015 Cheric coat by Thread Paper Paint; Papercut Rigel Bomber jacket by Morven’s Handmades; Diane Ericson Ventana jacket by thinkingcapp. 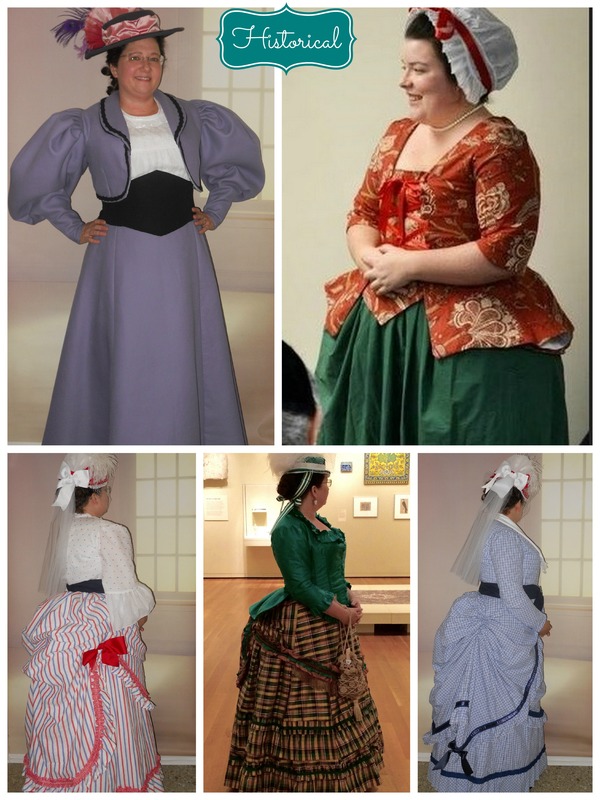 Top row: Truly Victorian 296 and 498 by Mimi; 18th century Dutch jacket, petticoat and cap by Very Paige. Bottom row: Truly Victorian 401, 305 and 261 by Mimi; Truly Victorian 301, 201, and 400 by Mimi; Truly Victorian 362 and 261 by Mimi. Note: I can only include names of patterns if the Flickr user adds them to their photo’s description. my favorite grouping was the historical one. it is on my bucket list to make at least one historical outfit. couple of questions please. below the pictures is a listing of what patterns have been used. i found Truly Victorian fairly easy. the other is Mimi. i couldnt find anything about it. is that another pattern maker? 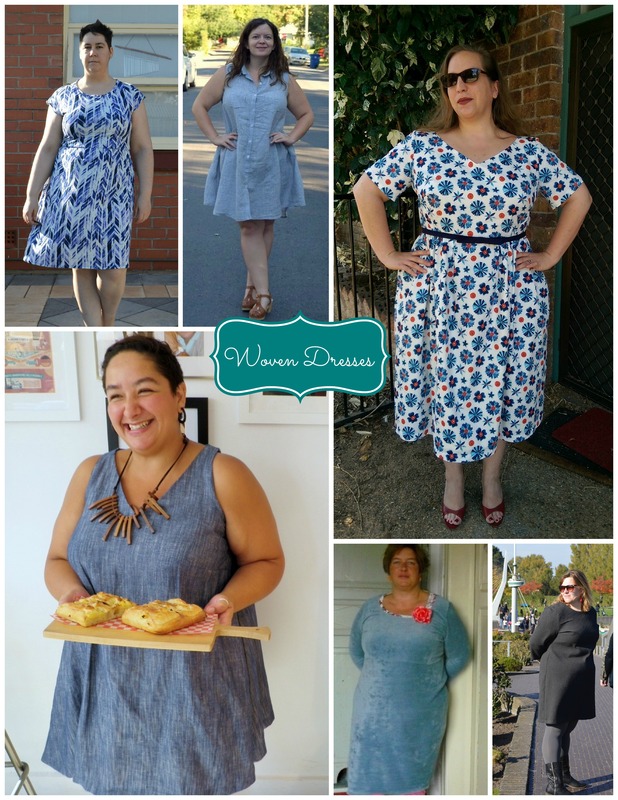 the last question is what level of sewing does one need for most of the historical patterns? at least intermediate? thank you. Hi Jennifer, this is Paige from Very Paige. Truly Victorian is pretty much the gold standard for Victorian clothing. I’ve never heard of mimi either though. Laughing moon has great patterns for the 18th century to early 1900’s. My favorite patterns for 18th century though are JP Ryan and Larkin and Smith. Historical sewing isn’t all to different from modern sewing. 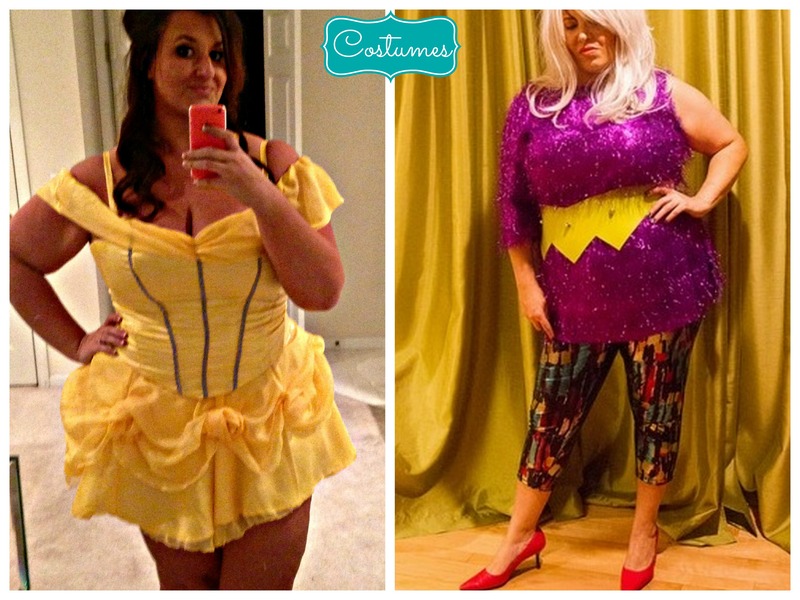 The most important thing is to have the correct foundation garments, because it’ll change the shape of your body and your measurements. The shape created by my 18th century stays (like a corset) actually increase my waist measurement. Depending on how accurate you’d like to be, there’s anywhere from completely hand sewn to finishing hand sewing. 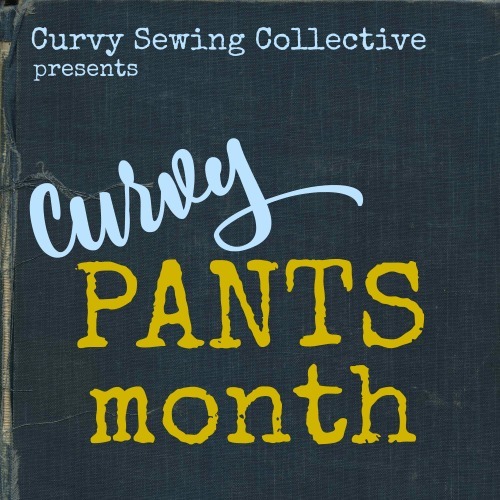 So you’ll need to brush up on your hand stitching. My 18th century ensemble in that photo is completly hand sewn. We are a stunning group of really really talented people!